SAN FRANCISCO — Tabemasho 2018, whose theme is “Reimagine: Celebrating 45 Years and a New Beginning,” will take place on Saturday, Sept. 15, at the Japanese Cultural and Community Center of Northern California, 1840 Sutter St. in San Francisco Japantown. Registration and silent auction open at 3 p.m., food booths open at 4 p.m., and the program will start at 5 p.m. 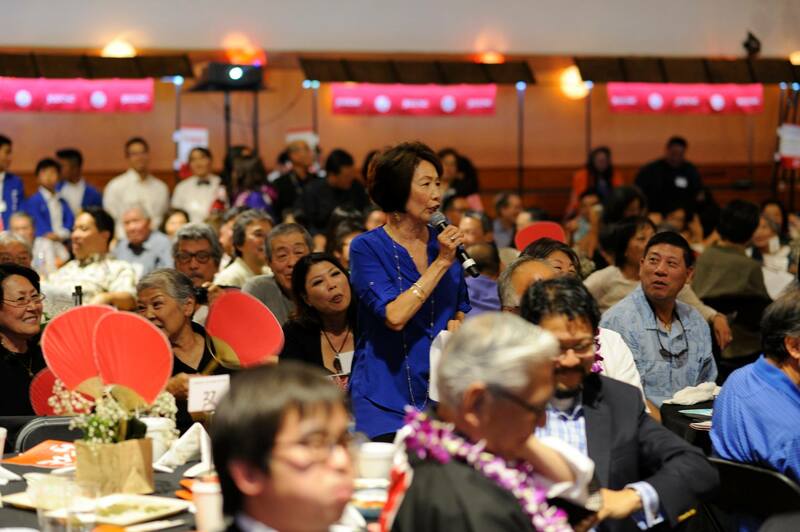 The annual fundraising event, to be held in the newly renovated Nisei Community Hall/Gymnasium, will mark the 45th anniversary of JCCCNC’s incorporation. The event will feature dishes representing Japanese culture, Nikkei comfort foods and innovative dishes prepared by popular Bay Area restaurants and chefs as well as exciting new pop-up businesses/chefs like Clint and Yoko Tan of Noodle in a Haystack. There will be trendy and fun drinks like Japanese whisky, craft beers and sake cocktails. Additional details will be added as new restaurants, chefs and vendors are confirmed. Back by popular demand – matsuri-style yatai (food booths). Instead of serving a traditional banquet dinner, this year the event will feature matsuri-style food booths hosted by local restaurants and community chefs. Come graze your way through a Japanese festival with friends, family and loved ones. The event will also present a live auction offering a trip to Japan for four with airfare donated by Japan Airlines and four-night accommodations provided by Kintetsu Travel. Call (415) 567-5505 or email [email protected] for additional information.